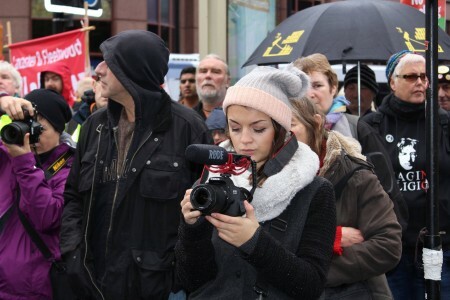 United Against Fracking protest attracts thousands to Manchester from Northern Quota on Vimeo. 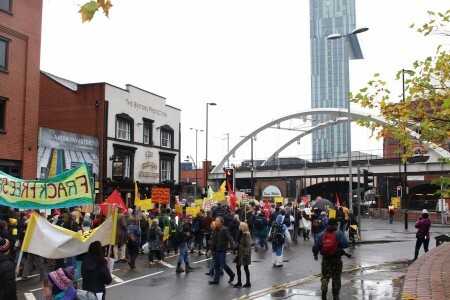 The national protest against Fracking, the controversial fossil-fuel extraction method, this weekend attracted thousands to Manchester. 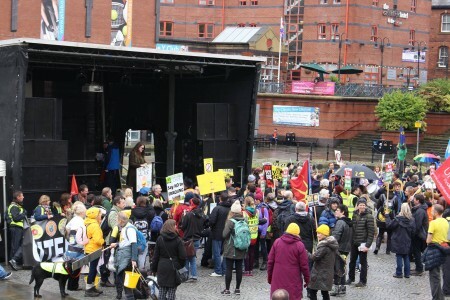 The rally began in Piccadilly gardens, with various organisations including Greenpeace, Friends of the Earth, Frack Off, the Green Party, Frack Free Lancashire and Manchester Action on Climate Change were there to participate in the protest. 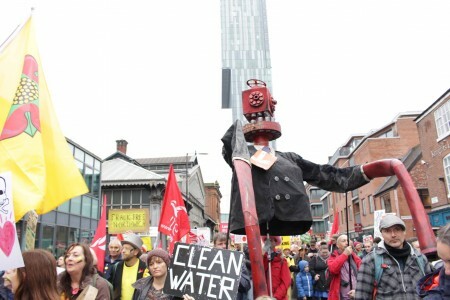 The crowd then marched to Castlefield where the special guests gave their rousing speeches. 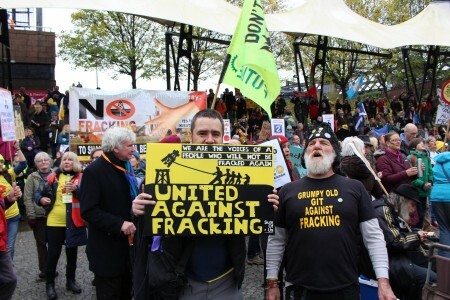 The protesters took the streets in the hope of raising awareness about the dangers of fracking, and to send a powerful message to the British Government. Several of the attendees mentioned the Tory Government's recent overruling of Lancashire County Council's decision to ban the practice in its district. 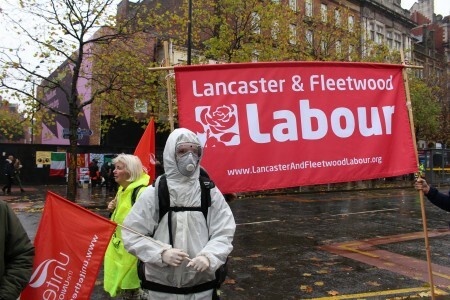 Lancashire’s citizens felt that their voices were not being heard or respected by Westminister. 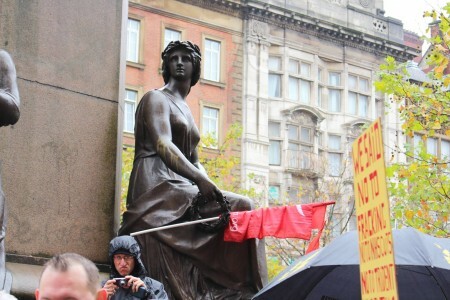 Even the statues were encorpoated into the protest! 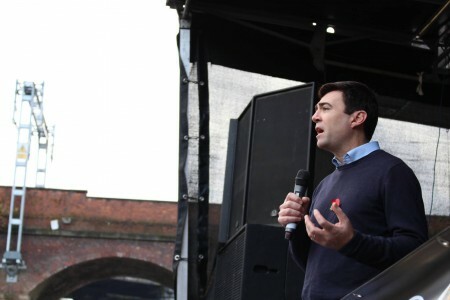 Andy Burnham, Manchester’s mayoral labour candidate, described what happened as “disgraceful." The first one concerning the potential detrimental environmental impact that Fracking poses. 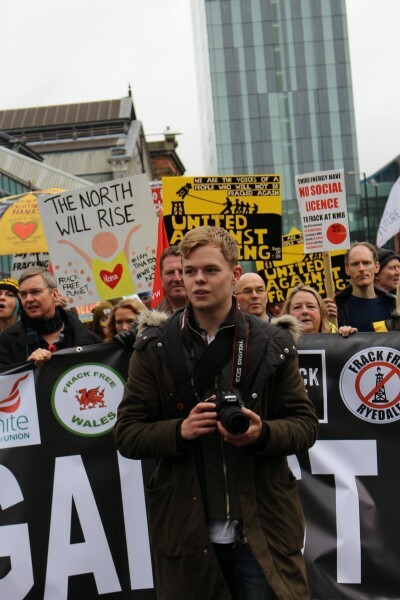 They voice anger at the gas exploration and production companies like Cuadrilla, who own the Fracking wells, and plan on opening them in Britain. 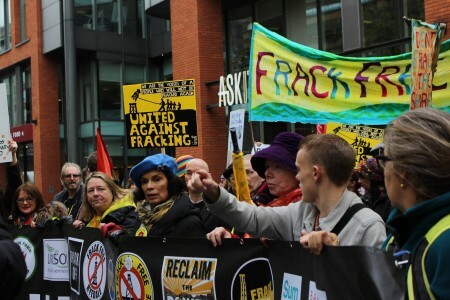 Raising concern about air and water pollution, earthquake arising near Fracking wells, and damage to nature, the protestors made compelling cases against the disputed gas extraction practice. According to them, renewable energies are safer and efficient than fracking. The second concern is about the potential negative impact on health Fracking could bring if it was to be allowed in the UK. Those representing the Anti-Fracking movement said that air and water pollution caused by fracking are significantly harmful to human health. They urged the government to look at the evidence of fracking’s negative effects and to take action against it. Cuadrilla is yet to give The NQ a comment. What are your thoughts on Fracking? Are you concerned about the detrimental impact it will have on the environment and our health, or do you see it as a way for Britain to become more energy-independent?